Are you on a mission to grow your own food? Become sustainable, or at least, less dependent on your grocer? 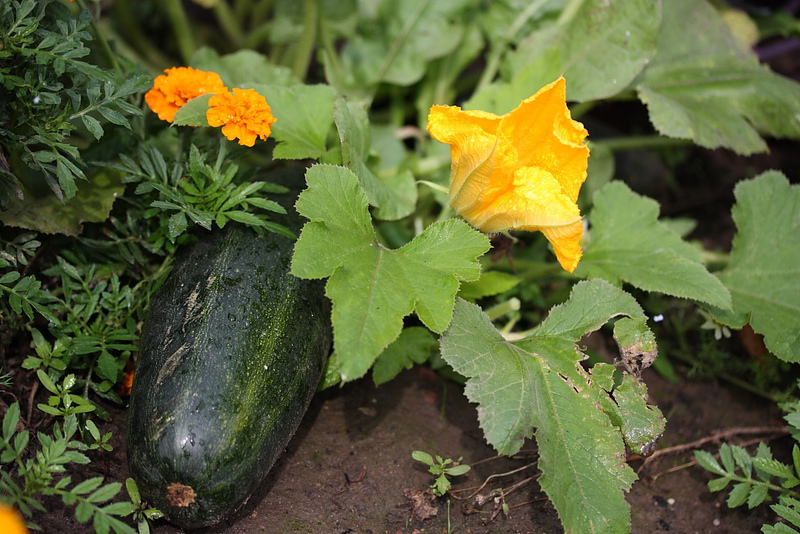 I understand that desire and realize many people want to utilize every square inch of their garden for growing vegetables, but there are several good reasons for adding flowering plants, mixing them right in with your veggies. It's amazing how many of our vegetables actually require an insect to pollinate them: broccoli, brussel sprouts, cabbage, carrots, cauliflower, collards, cucumbers, eggplants, kale, melons, okra, onions, peas, peppers, pumpkins, radishes, squash, and tomatoes! And while all of these don't necessarily need pollinating for you to enjoy them, those that produce fruits definitely benefit from happy pollinators. For example, did you know that tomatoes (which have been considered wind pollinated by many) actually produce more fruit when visited by a bumblebee? And then there is the squash family. No honeybees, no squash. A quick google search will produce a few hits on how to hand pollinate - a sure sign that bees are on the decline and not visiting every vegetable garden each summer! 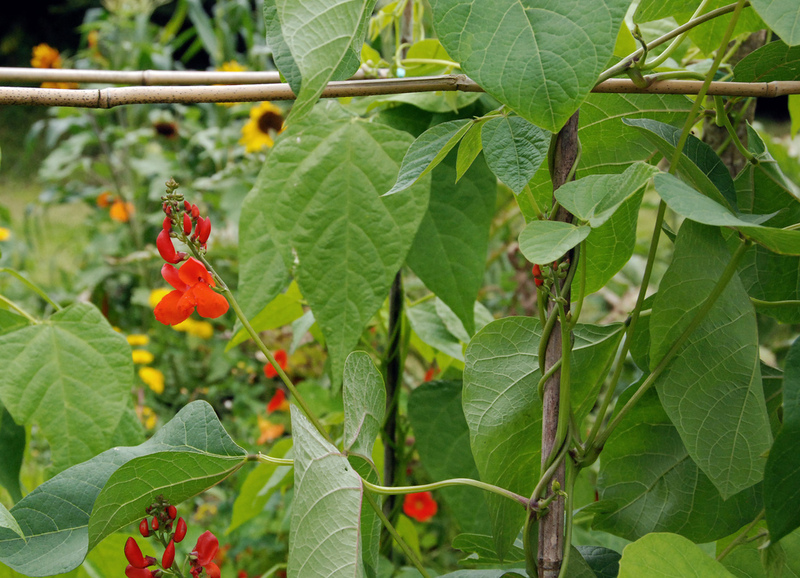 Some of the plants in your veggie patch really don't need pollinating for you to enjoy eating them because we eat them before they bolt and go to seed. Lettuce is an example as well as most greens. Root and bulb vegetables are other examples of food we eat without pollination. However, on some of these, if we wanted to collect and save their seeds, we would need pollinators to do their work first. 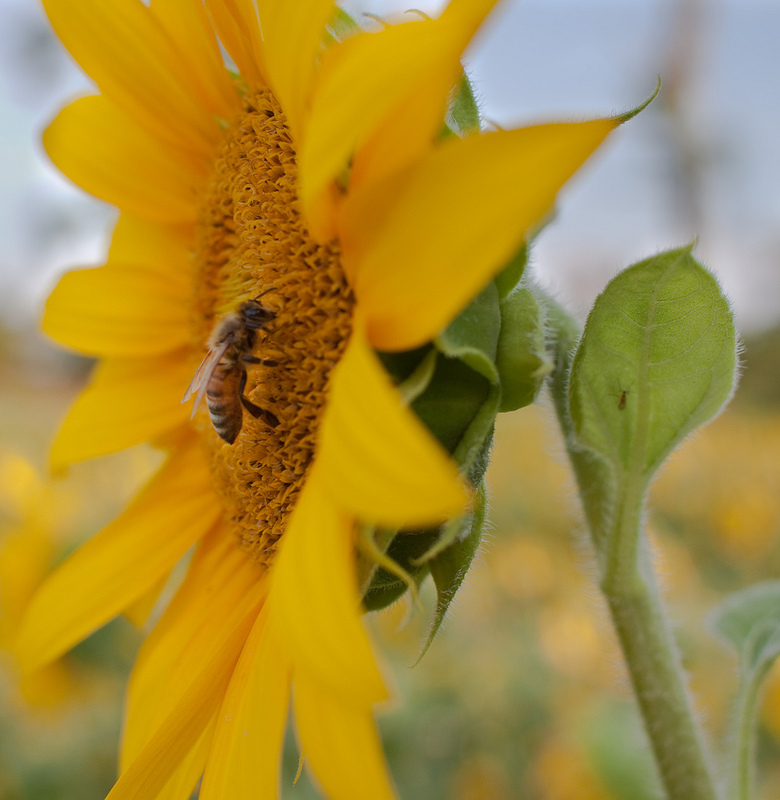 When thinking of pollinators, we typically have bees in mind. And they certainly do a huge part of the job each spring and summer. But other insects and flying species pollinate as well: butterflies, bumblebees, mason bees, beetles, hummingbirds, lacewings, wasps, moths, bats, and even some flies! I'll admit, that when I'm enjoying a dinner on the patio, I don't want to be disrupted by an onslaught of flying pests, but neither do I want to get rid of them entirely! We need to start considering what we're doing when we try to eradicate an entire population of insects. And we need to start thinking how to attract them to where we want them. • Bees see blue or purple flowers the best. They don't see red. • Butterflies and hummingbirds are drawn to red, yellow and orange flowers the most. • Nocturnal pollinators, such as moths, see white flowers the best. The lists above certainly aren't exhaustive, but they should get you started. A garden rich in biodiversity (as opposed to a single monocrop) can either attract beneficial insects by planting things they love by your vegetables or deter pests by planting things they won't touch next to your prize tomatoes! And doesn't it make the garden look lovely? Be sure to visit Pollinator.org for planting guides in your area and more! 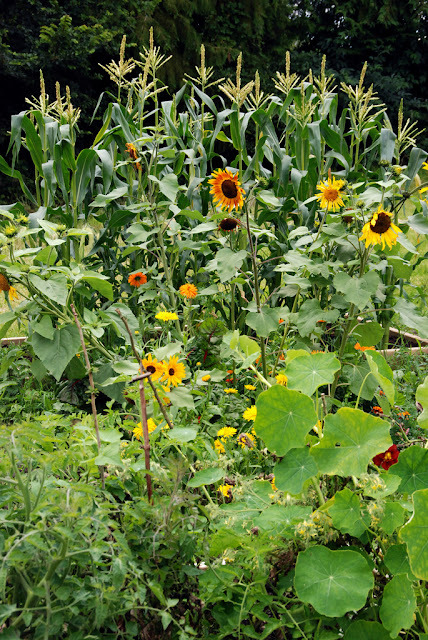 Will you be adding flowers to your vegetable garden this year? Do tell!